Among all laptop parts, the most prone to damage one is the battery. Very often it stops working due to improper usage. One of the best solution for not-working or damaged battery is to replace it by the new one. Now various producers offer replacement batteries. The huge number of users had to face the problem of faulty battery. As mentioned earlier, the best way to solve the problem is to replace it. A lot of users have to consider whether to choose an original or maybe a replacement. It also happens, as in case of Samsung, that the producer has withdrawn the product from the market and original models are unavailable. However, to satisfy the need there are producers who offer replacement parts. In most cases, their parts are much cheaper than original ones. One of such producers is Green Cell offering first class products with high-quality components and innovative production technology. 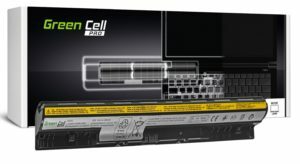 The complete Green Cell offer could be found on https://batteryempire.co.uk/. You can find there laptop batteries, chargers, keyboards, batteries for phones, cameras, power tools or vacuum cleaners and also power banks.